Honestly, this year I'm not that keen in checking out the Sabha canteens the way I did for the last couple of years. Last year I found the food to be mediocre. 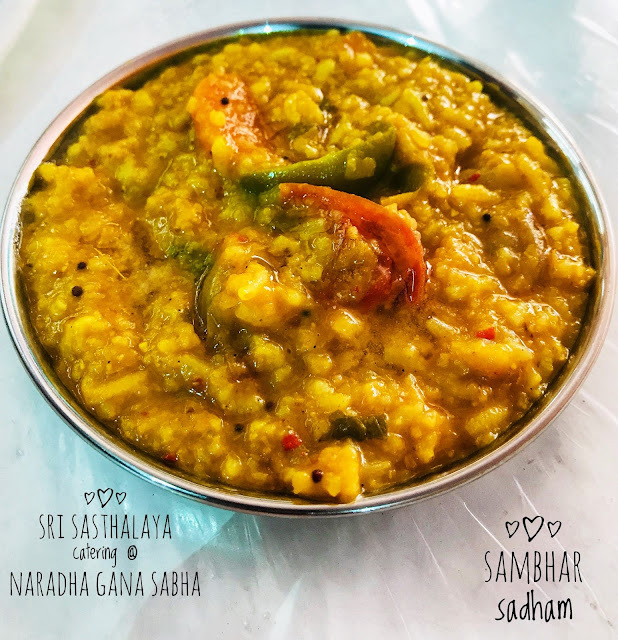 But just to stick to the custom, I decided to check out Sri Sasthalaya catering at Naradha Gana Sabha, as last year during our sabha hopping I found them to be the best out of the four we tried. First disappointment was no meals until 25th December due to restrictions from the sabha management. They were serving mini meals, dosa varieties and other quick bites. Settled for a mini meals and a plate of puliyodharai. Mini meals priced at 180 bucks has a chappathi, kuruma, 3 variety of rice (puliyodharai, sambhar sadham & curd rice) and a poriyal. 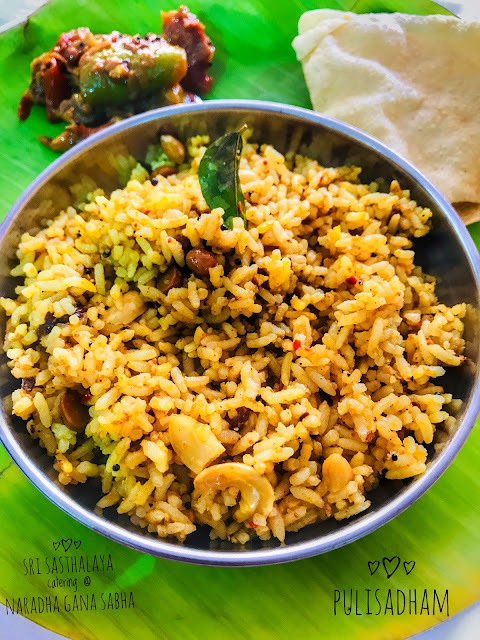 Puliyodharai was the rice of the day. Everything tasted just average. 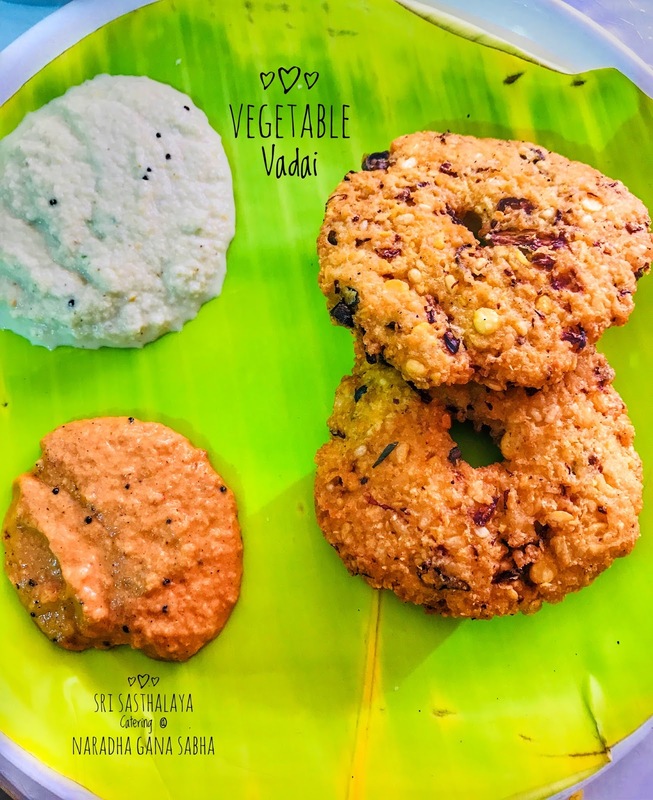 Vegetable vadai was hot and crisp. That's all about it. 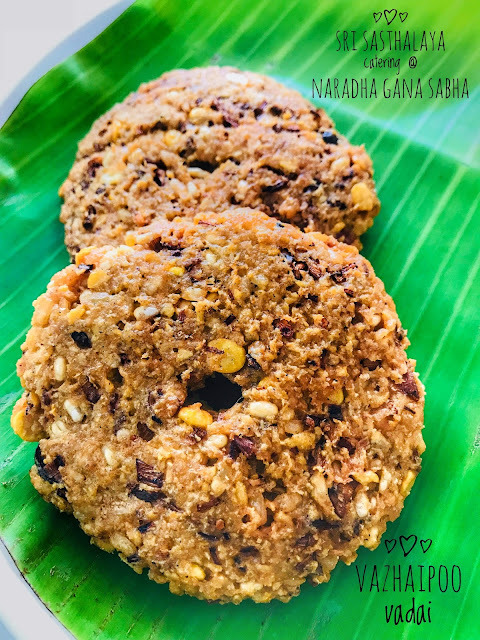 Vazhai poo vadai tasted more like the milagu vadai available in temples. 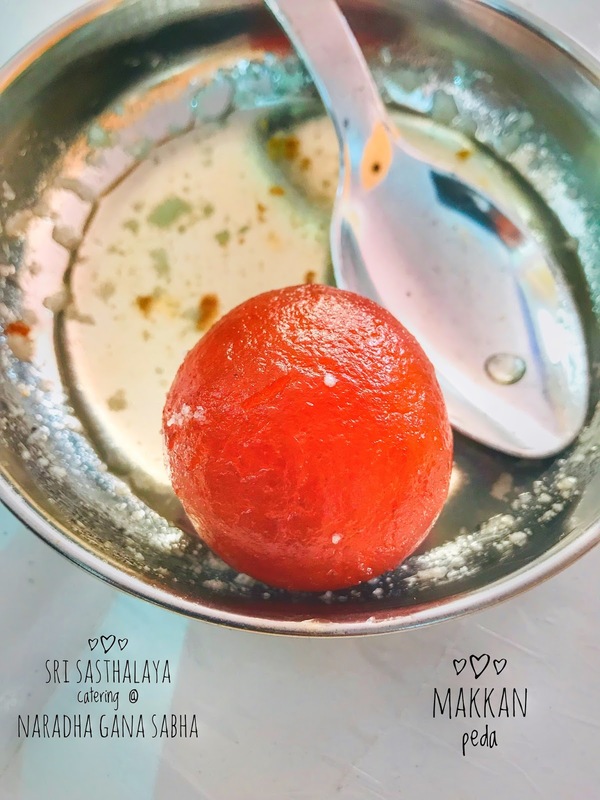 Makkan peda was the new name given to gulab jamun. 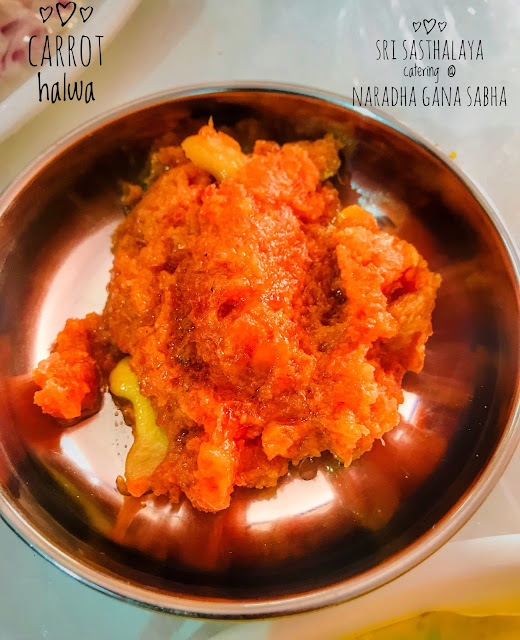 Carrot halwa was pretty good. 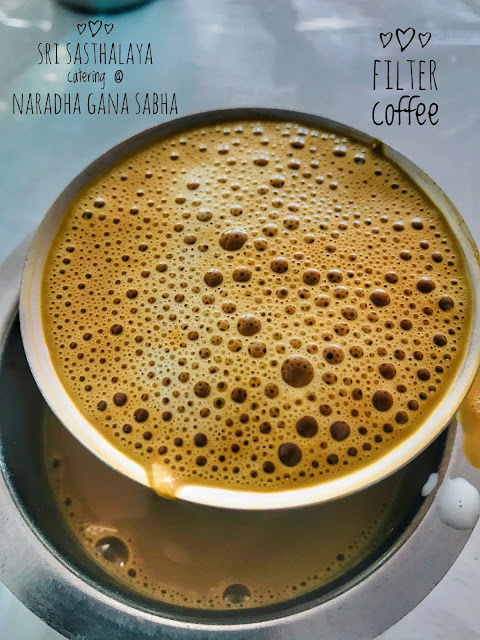 Filter coffee was okayish. Paid 500 bucks in total for all these. Altogether the wow factor was missing in the food. An average fair, with spiked rates was not what I was expecting. Get the long type of offer and dept specification of small indian kitchen design dealers india. if you planning wedding or parties and you are not decided food menu. The best caterers in delhi expert to suggestions and ideas to help you decide the right menu for your upcoming Event. Best caterers are work of all abilities to use in your memorable events like wedding, Small parties, Big parties, Birthday party or corporate events. we make tasty food. Book now 8800209900. The food provider is a spine of the wedding without Caterers is wedding nothing . it's the principle part in the wedding. 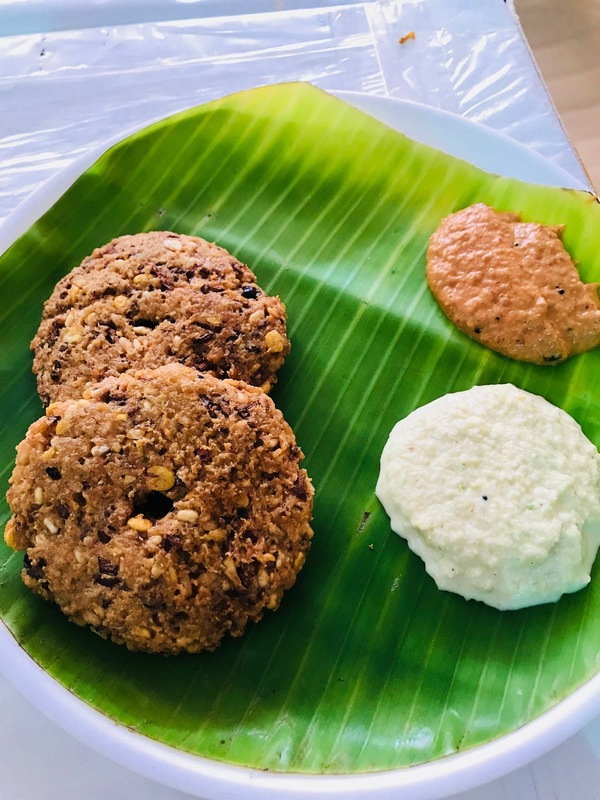 Caterers in Delhi orchestrate every one of the gatherings like supper, commemoration; birthday, corporate occasions and so forth wedding caterers serve tasty nourishment alongside Decoration and marriage in indoor or open air catering occasions. In the event that you planning wedding or gatherings and you are not chosen nourishment menu. The best caterers in delhi master to suggestions and ideas to enable you to choose the correct menu for your upcoming Event. Wow, great info about the catering event management. Using a catering management software can make your event more successful for you. if you planning wedding or parties and you are not decided food menu. 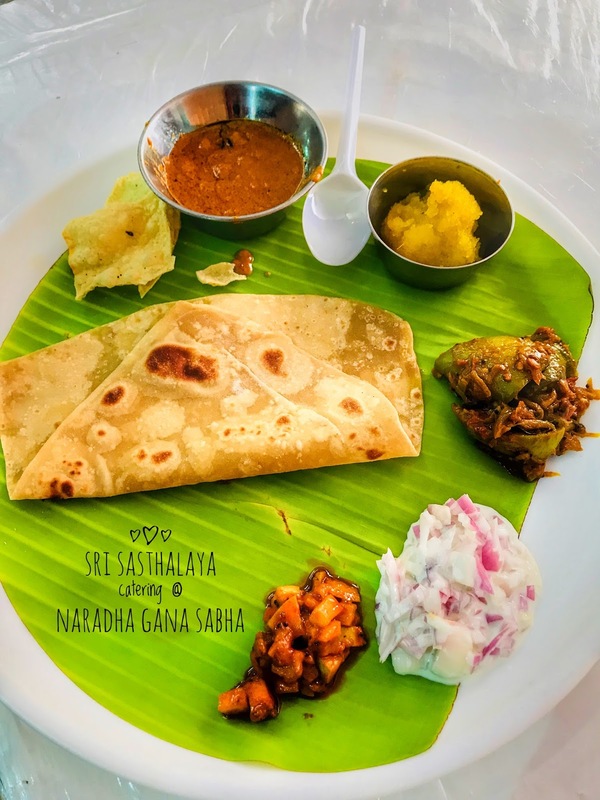 The best caterers in delhi expert to suggestions and ideas to help you decide the right menu for your upcoming Event Commercial refrigeration. Super Rich post with mouth shut images and beautifully executed.